January is almost here already (wow!) 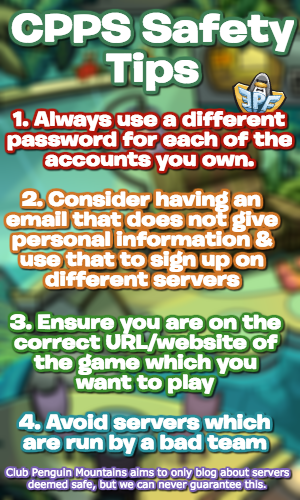 and many penguins have been wondering what will be happening on Club Penguin Rewritten. A small teaser has been given by the team about what’s in store for next month, informing us that it’ll be something “unexpected”. Something is coming in January that nobody is expecting, I wasn’t expecting it either. Any hint would make it too easy. People are expecting a Winter Fiesta (but that) doesn’t mean one is coming next month. The Winter Fiesta is confirmed to be in 2019, but it seems unlikely now that it’ll be occurring in January specifically. Thank you very much for reading! 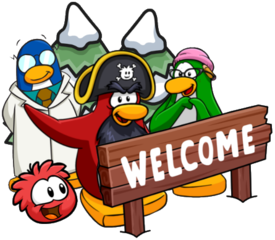 Wait what if its EPF Rebuild or Prehistoric Party (oddly)? Prehistoric Party, no. It’s been confirmed parties after 2012 won’t happen on the island. It could be the EPF Rebuild though, that’d certainly surprise me! Too bad it’s not Pengur or Project Coral. It could be the PSA and EFP rebuild. Could it be the rebuilding of the EPF? It could be! It’s sorta early though, so I’d be really surprised by that if it was. I’d be surprised about that too…but then again, this is something unexpected. Maybe it was the Dance-a-Thon? hey torres, remember me? its panda, dr pufflespy or whoever. remember? penguin lodge, penguin castle and everything. whats up?